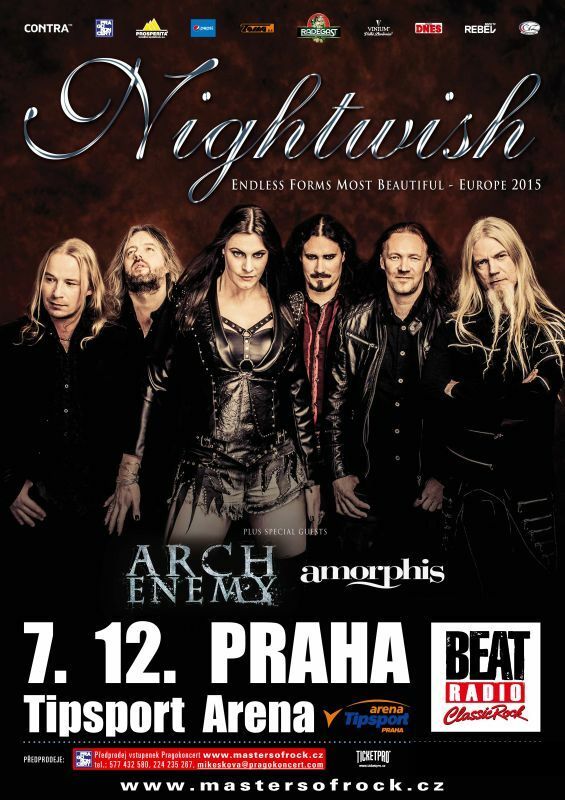 Phenomenal Finnish band NIGHTWISH arrives at the end of 2015 to Prague! Along with NIGHTWISH will come ARCH ENEMY and AMORPHIS. All these great bands will play in Tipsport Arena in Prague, 7 December 2015.